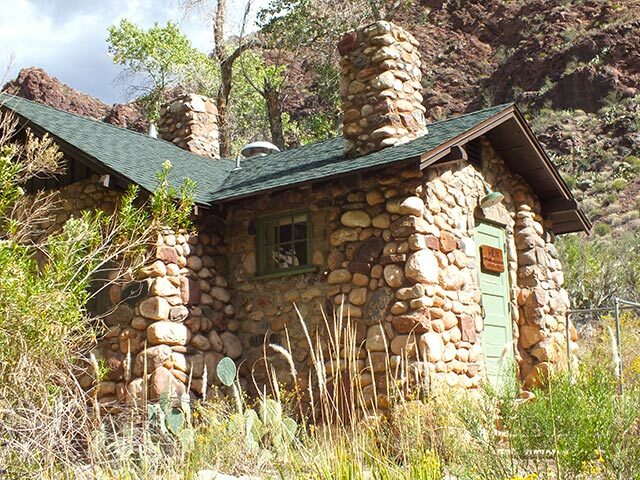 Dramatic changes are coming to the way reservations will be done for Phantom Ranch lodging. 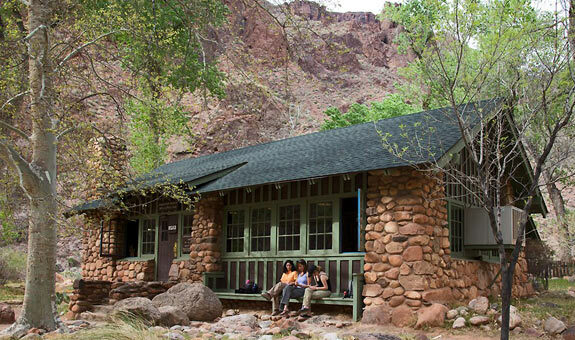 Starting with stays for January 2019 and beyond, Grand Canyon National Park Lodges (Xanterra) is converting to an online lottery reservation system for random selection of the bed space for cabins and dorms. Learn more by visiting my page, Phantom Ranch – New Lottery System to Debut. 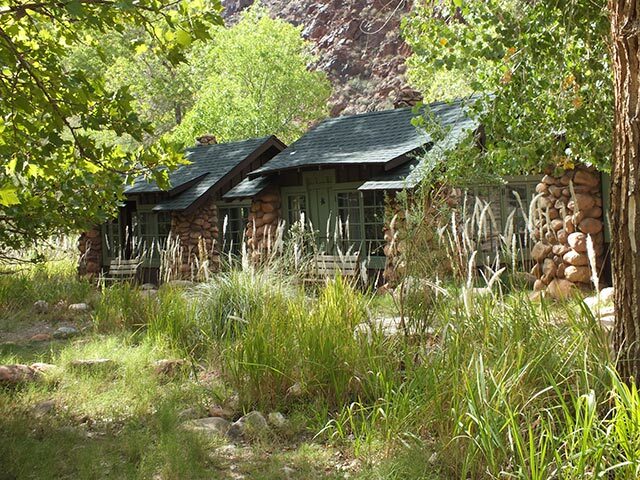 You can also find Phantom Ranch Lottery FAQs directly on the Grand Canyon Park Lodges site here. This page is provided for information only. Please note that I am not associated in any way with Grand Canyon National Park Lodges (which operates Phantom Ranch Lodge), Grand Canyon National Park, or any of the other businesses and agencies listed within these pages. You will need to contact them directly to make any reservations. 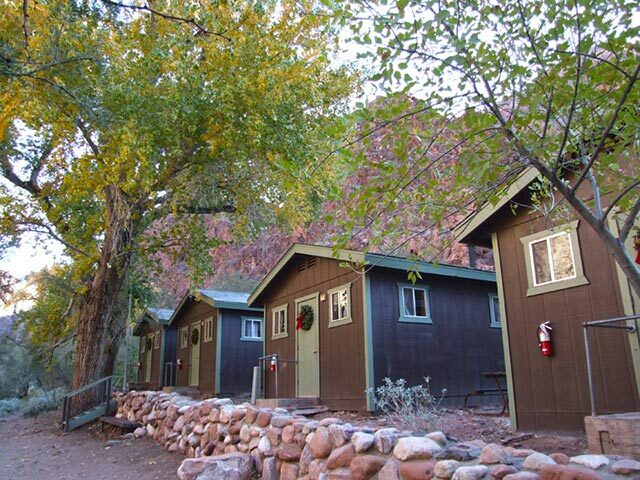 Grand Canyon Lodges has an online reservation for the dormitory lodging, but if you are serious about getting reservations, I highly recommend that you telephone them. I have not heard of anyone getting a reservation via the online form. 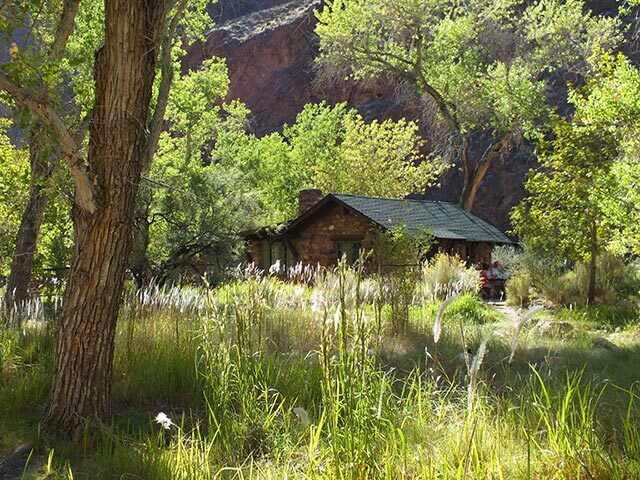 Phantom Ranch can only be accessed by mule, hiking or by river raft. If you take a mule, it must be ridden both directions; it cannot be taken one way! Find more information on mule rides to Phantom Ranch on the Phantom Ranch Mule Rides page. 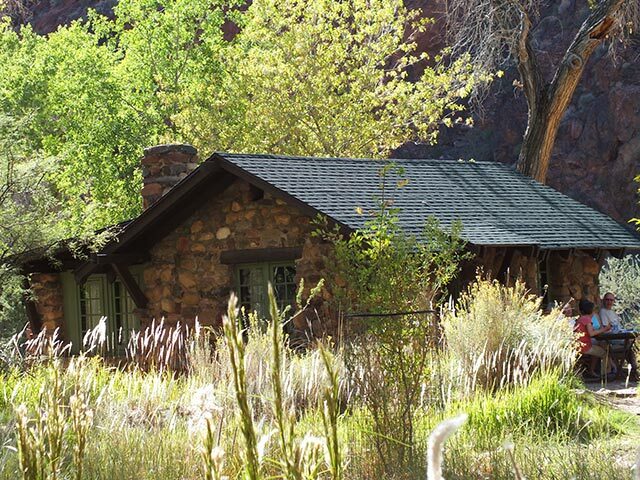 For answers to commonly asked questions regarding Phantom Ranch, visit the Phantom Ranch FAQs page. 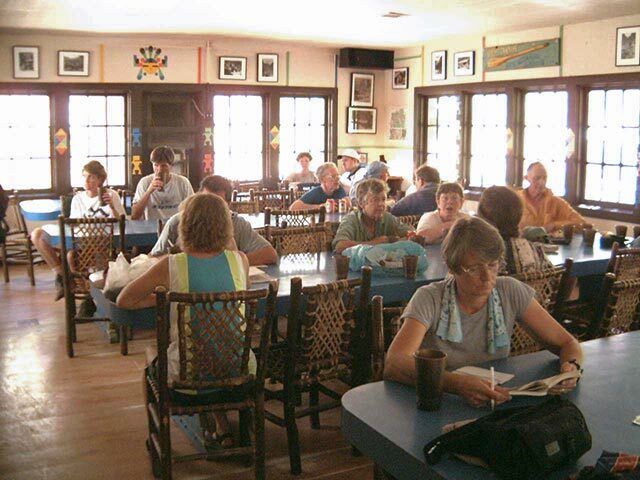 You’ll also find some very helpful tips for your visit on the Phantom Ranch Tips & Tricks page. Phantom Ranch Canteen. 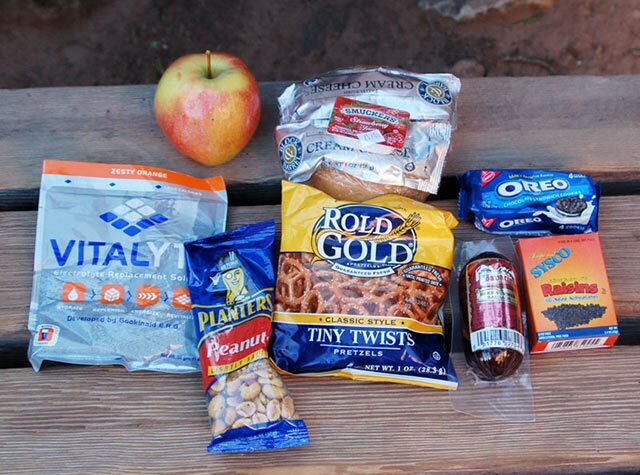 Located at Phantom Ranch, the Canteen offers hearty breakfasts, box lunches (shown to the left), and dinner choices of hiker’s stew, vegetarian chili or steak dinners to adventurous travelers who journey to the bottom of the Canyon. Advance reservations are required and there are specific seating times for breakfast and dinner. Steak dinners are served for the early dinner seating with the late seating serving stew and vegetarian chili. Open all year. 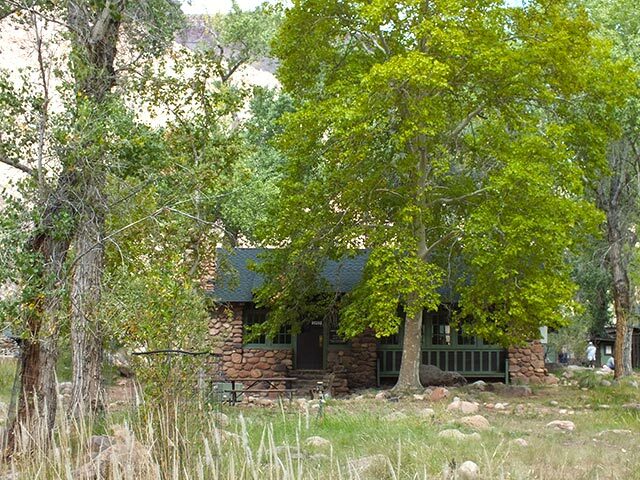 Phantom Ranch has two types of lodging. There are river stone and wood cabins that are included with the overnight mule rides. Most have two sets of bunk beds, a toilet and cold water sink; there are no showers in the cabins themselves. There is a building with hot showers, liquid soap and towels located nearby. The cabins are climate controlled with both heating and cooling and include bedding. 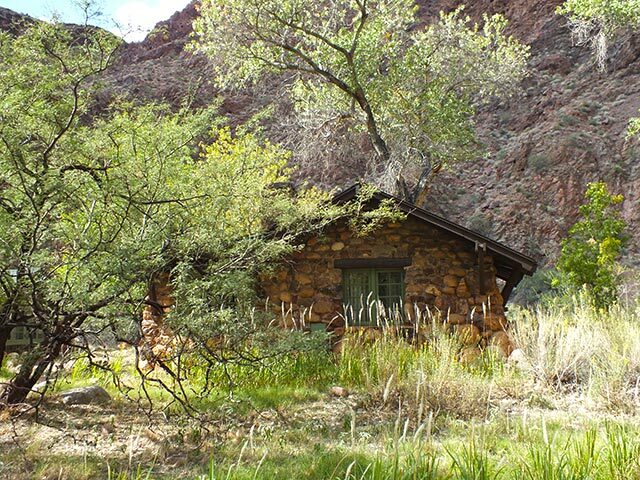 Any additional cabins available after all mule riders have their lodging are rented out to hikers. They are rented out up to a year in advance and are extremely difficult to get since there are so few and very desirable. The cabins come in 2 sizes, a 4-person size with 2 sets of bunk beds and a 10-person cabin (shown at the top of page) with 5 sets of bunk beds. The beds are twin size. 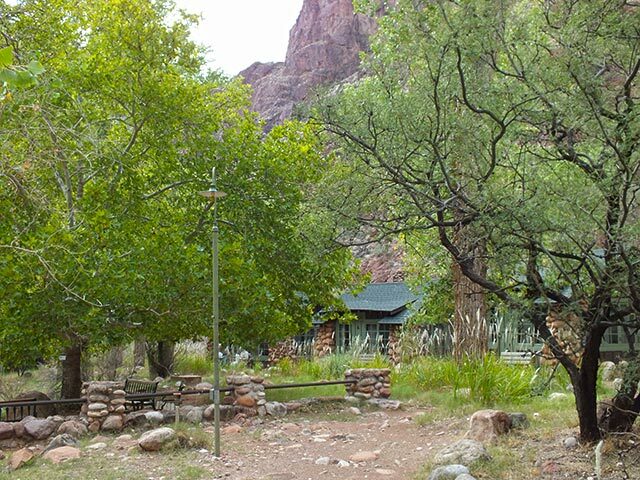 The second option for lodging at Phantom Ranch are the hiker dormitories, shown here to the right, separated for men and women. Each has ten bunk beds, a shower, toilet and a sink. Bedding, towels and liquid soap are supplied. These are easier to get reservations for than the cabins but still popular and require advance planning or getting a cancellation. Since you are in such close quarters with strangers, I highly recommend carrying ear plugs. It seems when you have ten people in a single room, there is bound to be at least one person who snores! 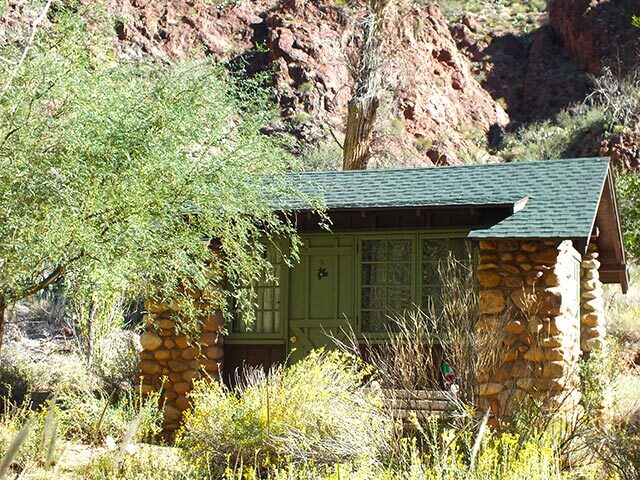 Phantom Ranch does not accept online reservations, but you can fill out a Reservation Request form. 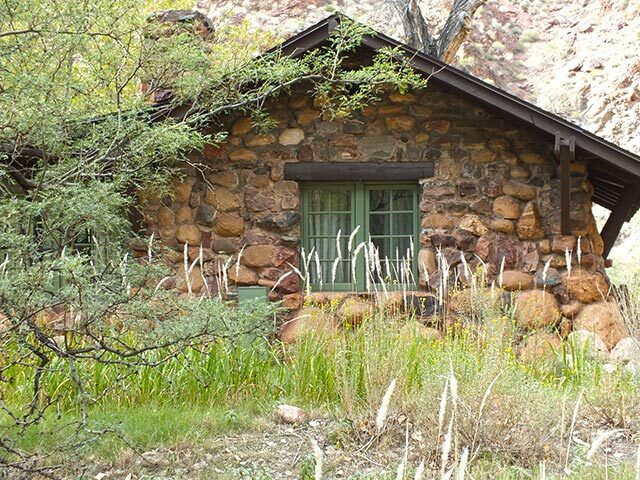 For prices and more information, visit Xanterra’s Phantom Ranch page. For information on getting to Phantom Ranch by mule, visit my Phantom Ranch Mule Rides page.